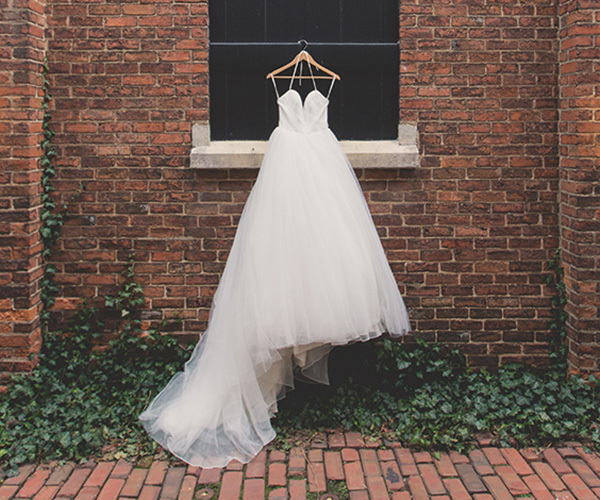 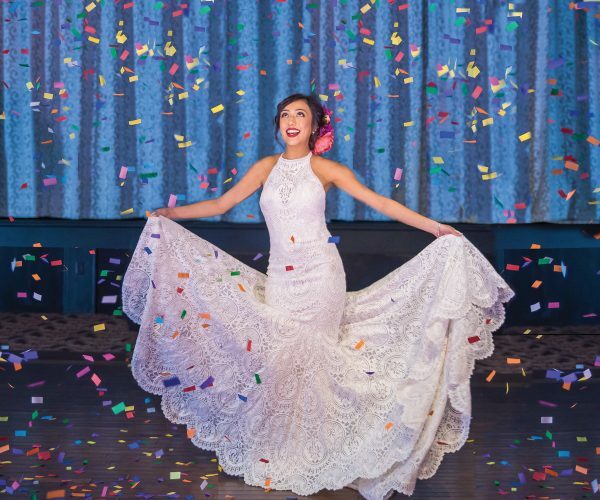 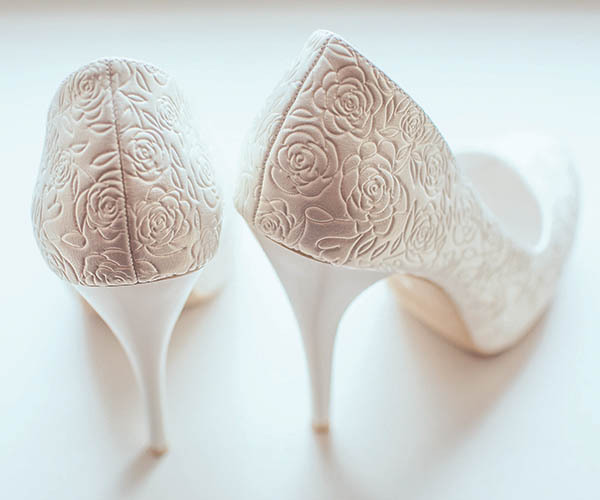 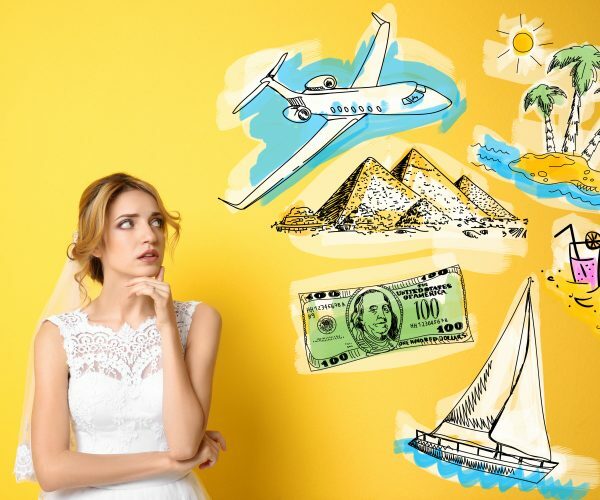 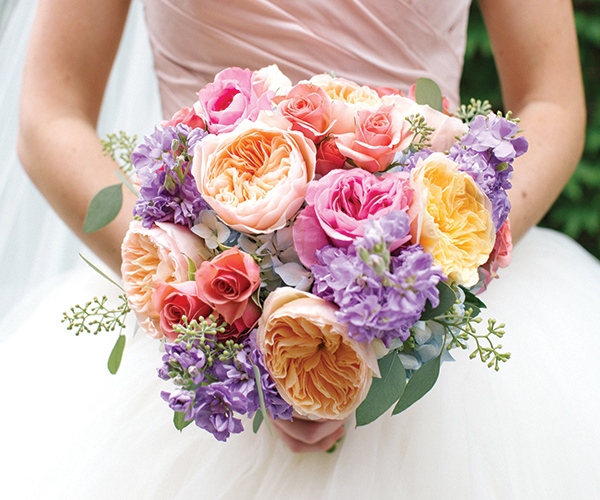 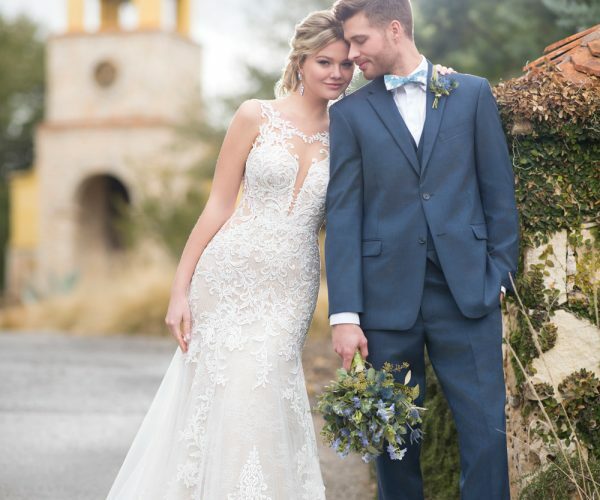 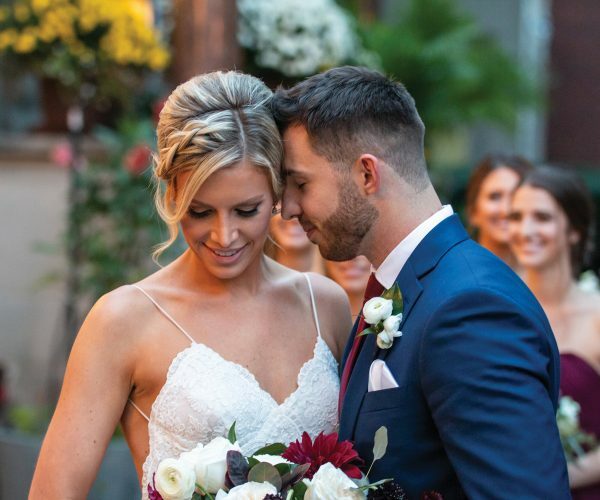 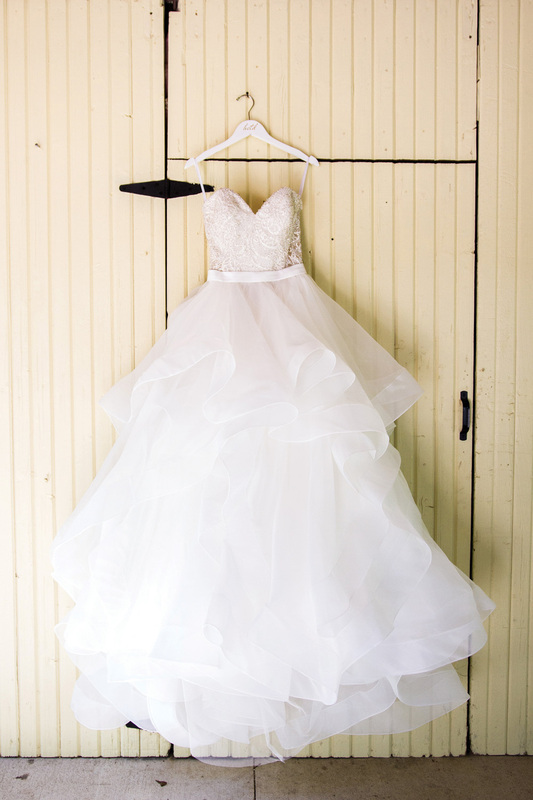 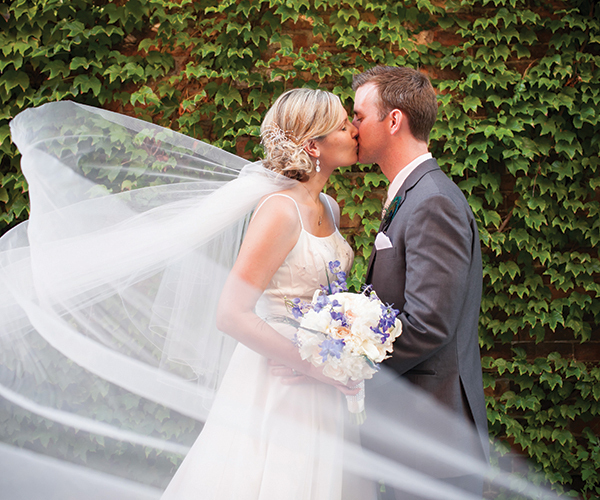 If there ever was a time to create a life-like fairy tale, your wedding day should capture just that. 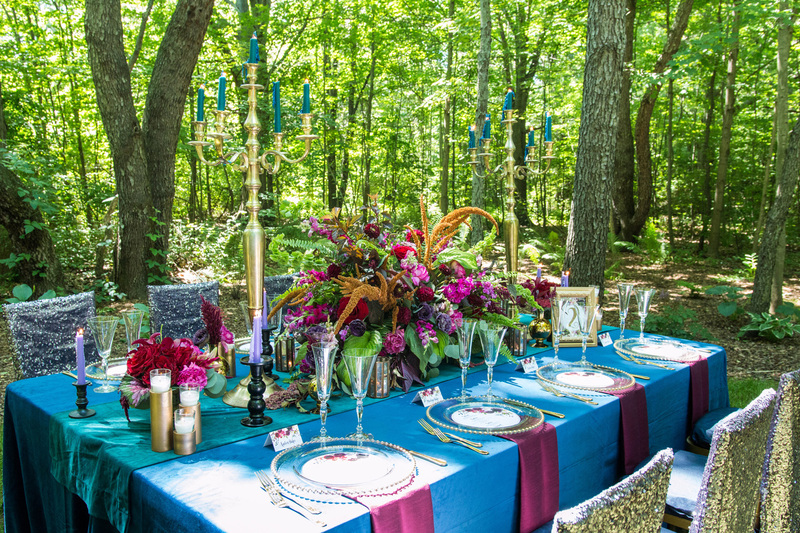 Holden Michael Events created this stunning tablescape set amongst the beautiful outdoor fairy garden at Stonegate Manor. 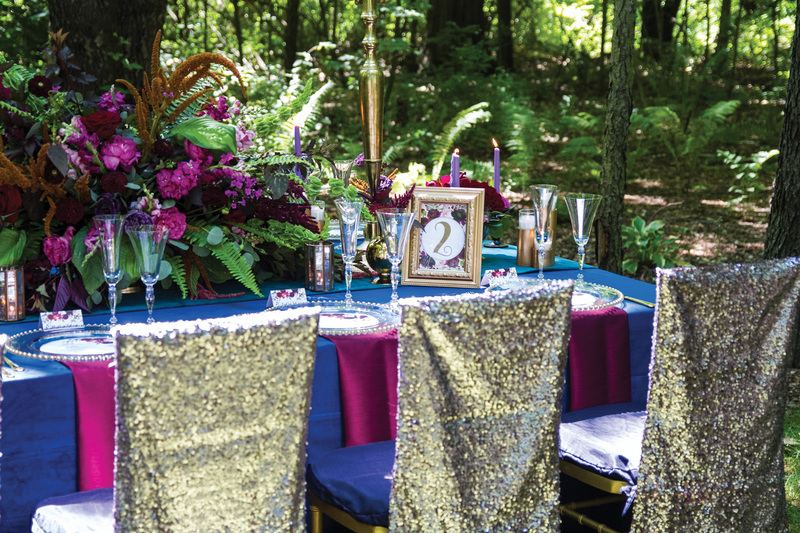 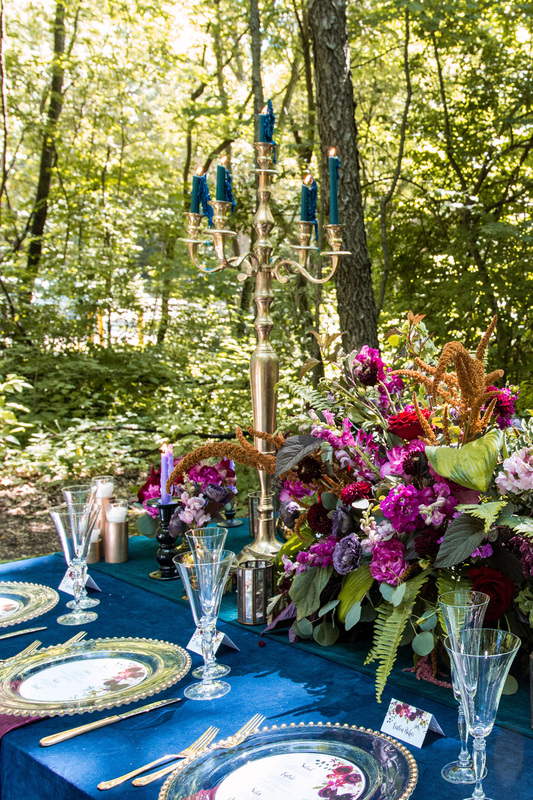 Blending vibrant colors, gold accents and luxurious details, this fairy tale inspired tablescape is such a great twist to a fall wedding theme. 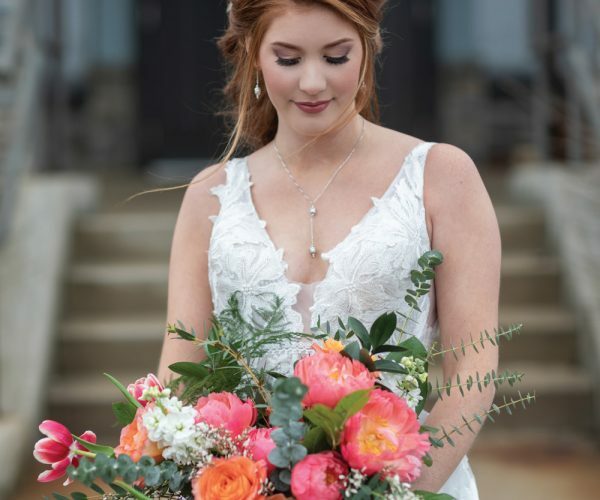 Our model, Sydney, was simply enchanting in her beaded sweetheart gown from Here Comes The Dress. 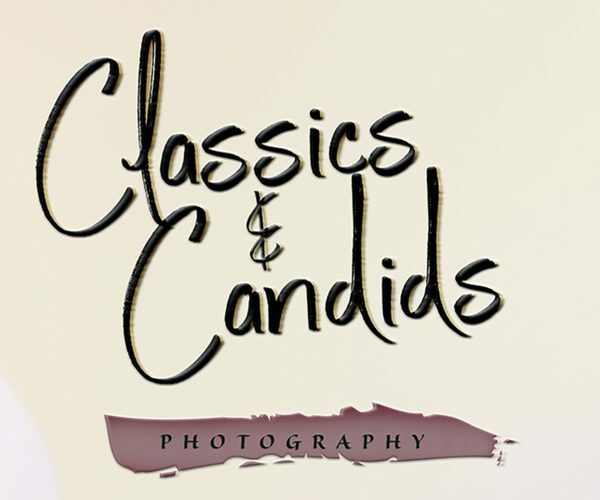 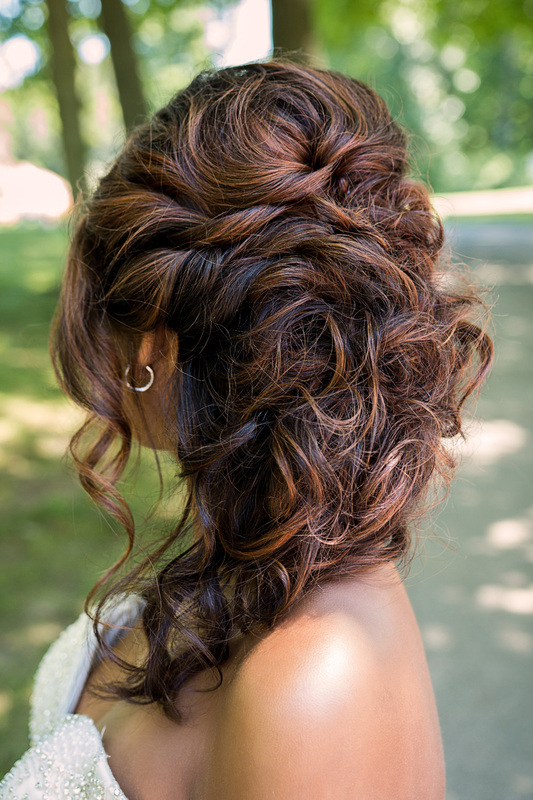 Her hair was eloquently swept up into a loosely tousled updo by Jay at Jay Marie Salon & Spa. 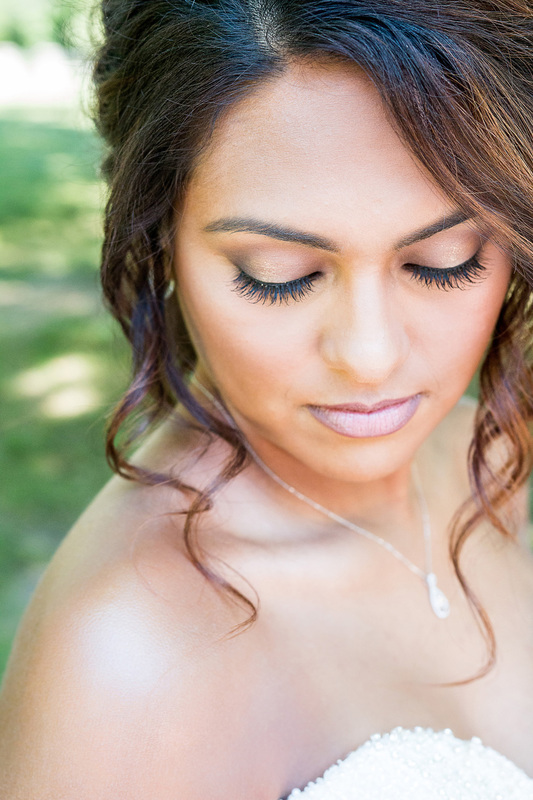 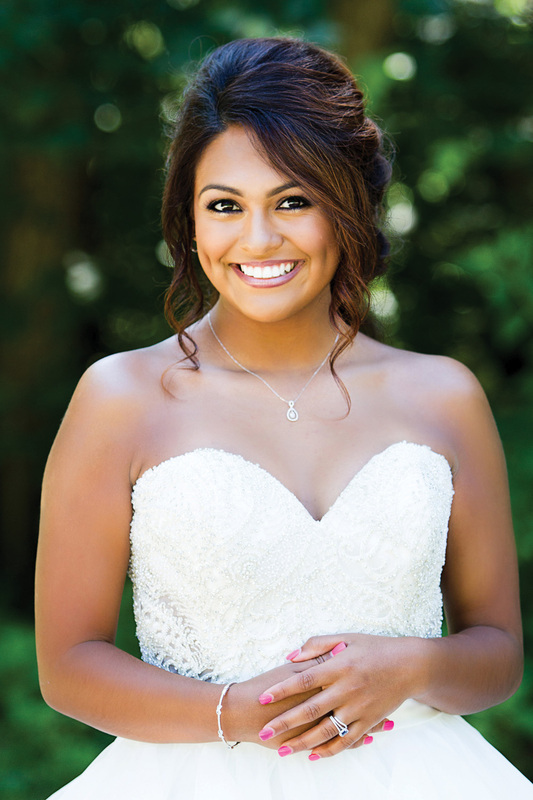 Brittany Hennings Makeup perfected Sydney’s bridal makeup by enhancing her beautiful eyes and bringing out her lovely skin tone. 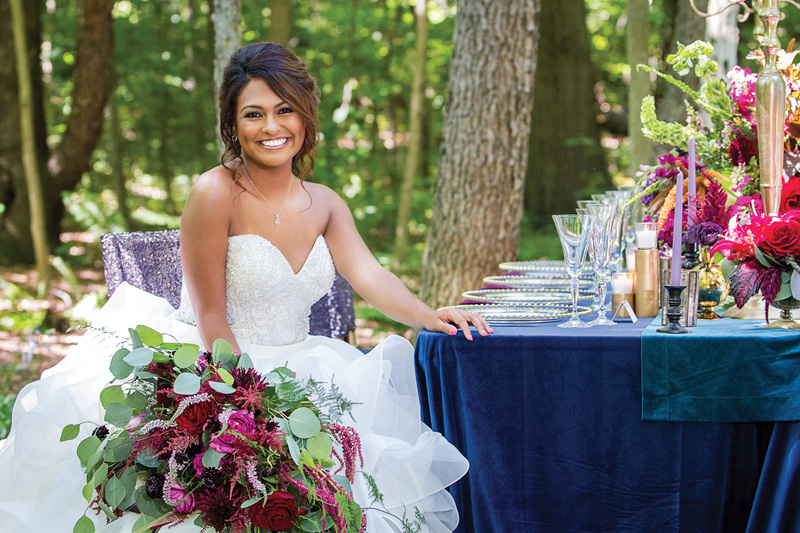 Martin Binder Jeweler added elegance to this fairy tale shoot with jaw dropping jewelry. 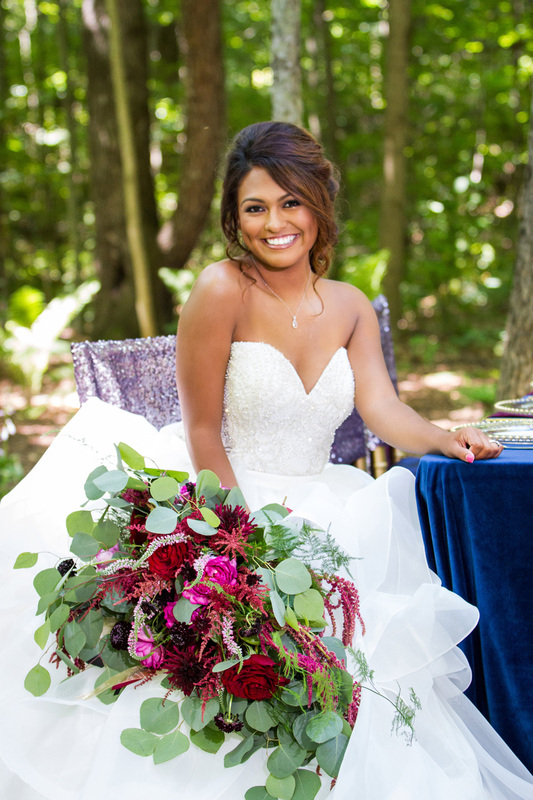 We especially loved the touch of color that the sapphire and diamond ring created for our model’s overall look. 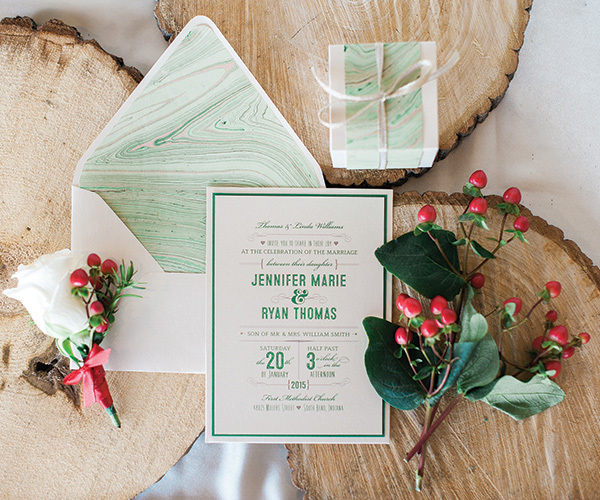 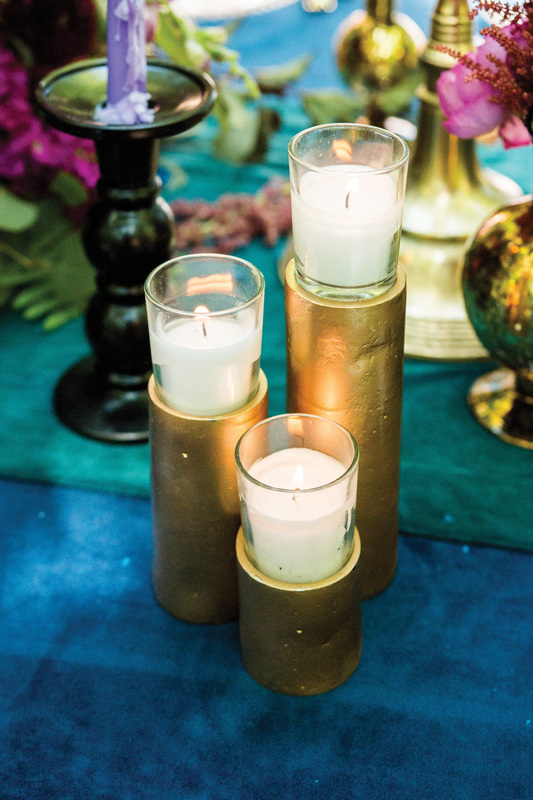 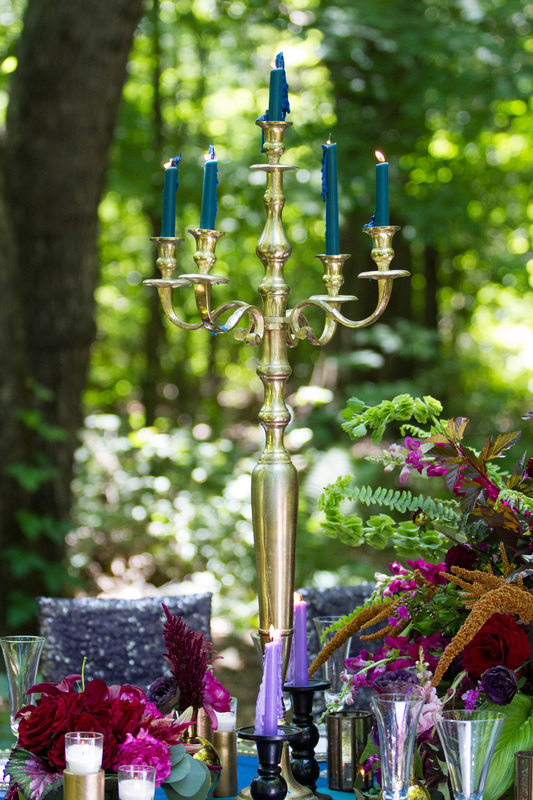 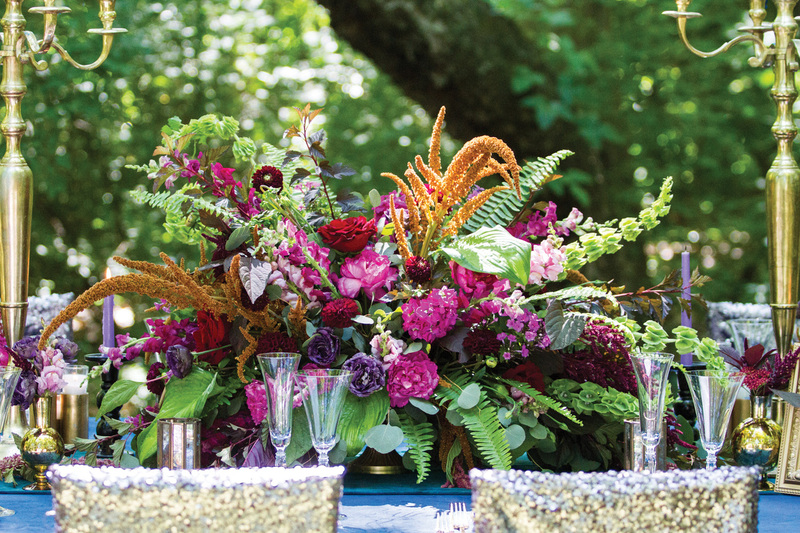 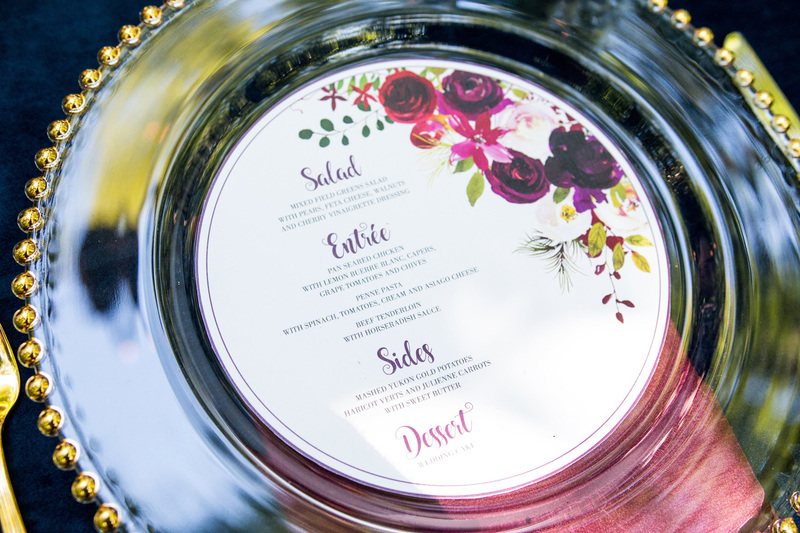 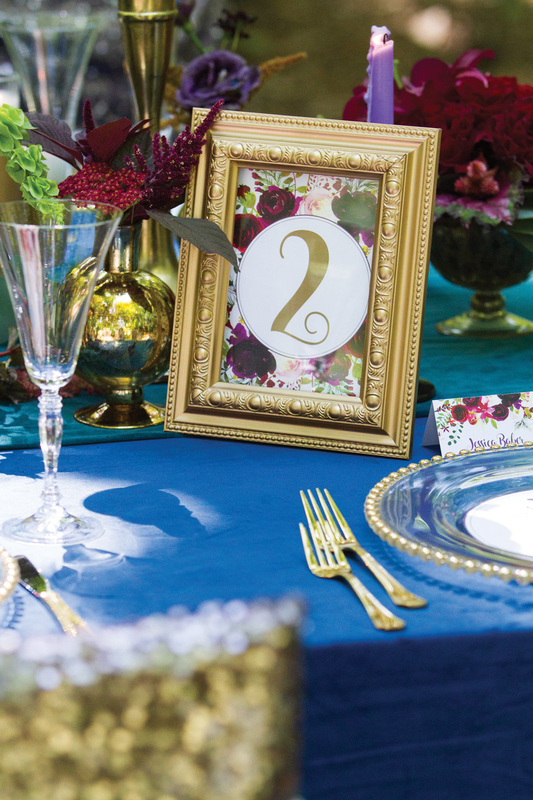 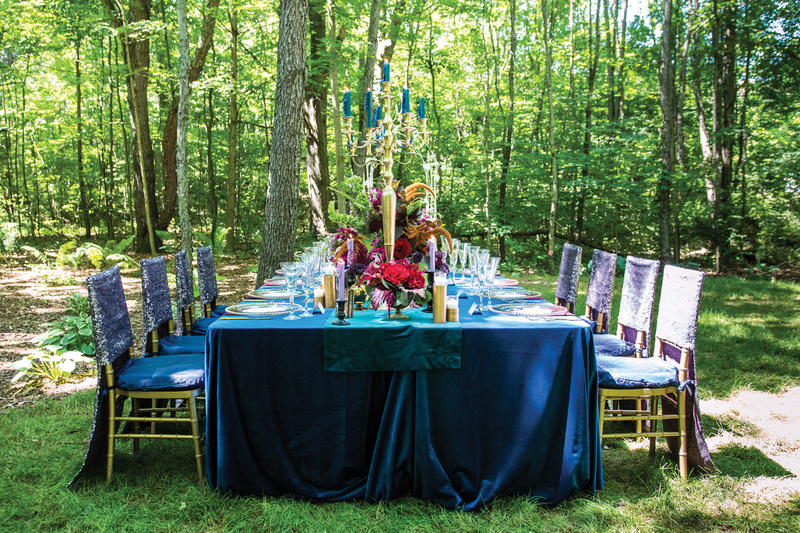 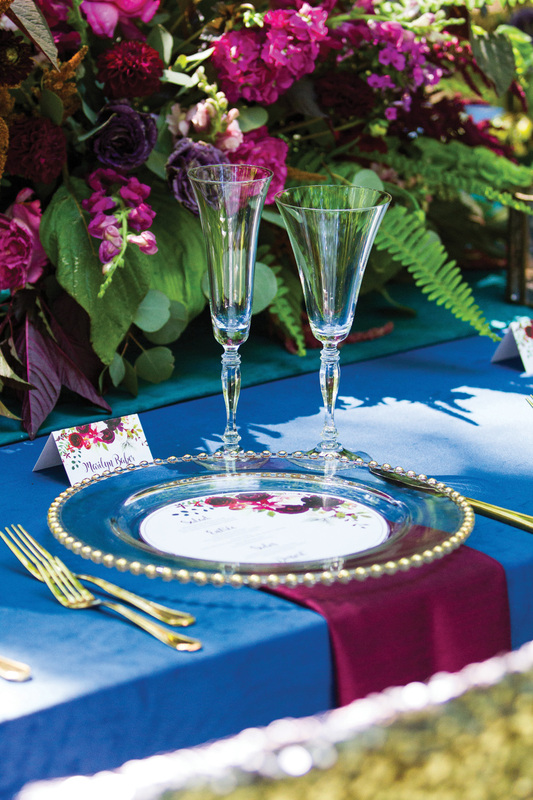 Vibrant colors and luxious details are what this tablescape exemplifies. 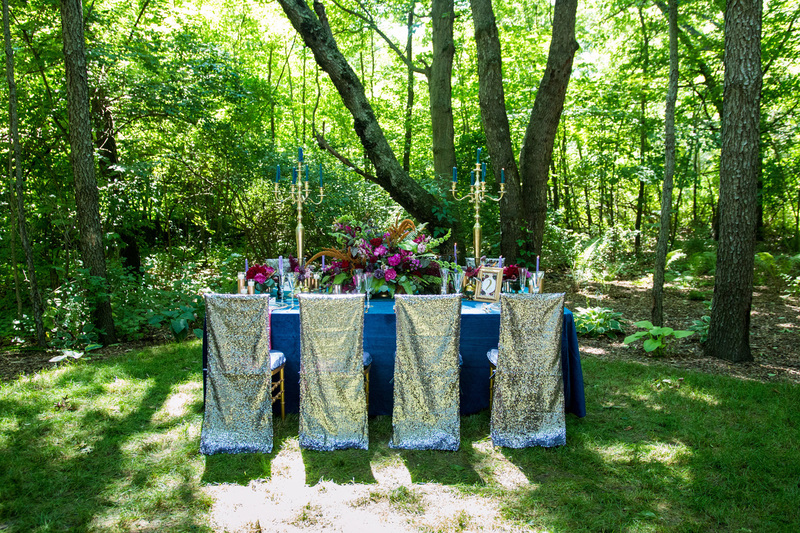 Marco Alexzondra Floral designed this rich centerpiece that played together so well with the blue linens, sequin chair covers and gold accents provided by Events By iCandy and The Rental Co. 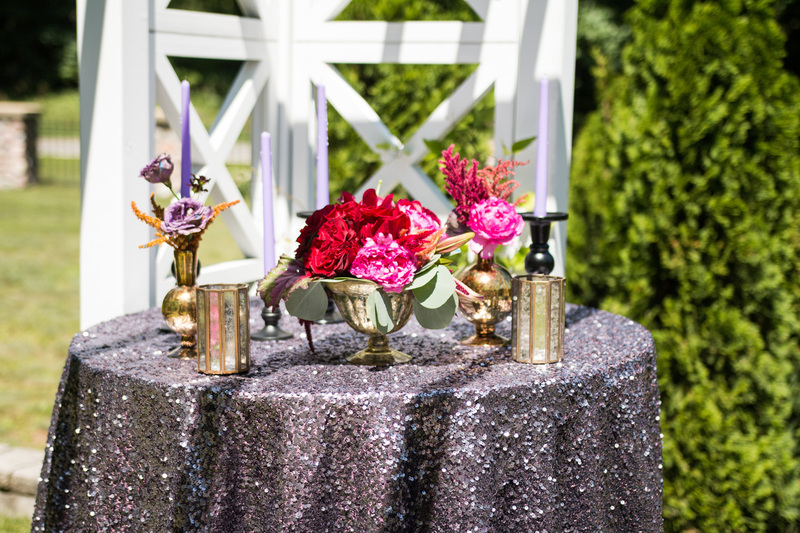 These details along with the outdoor fairy garden at Stonegate Manor made Holden Michael Events’ design become a fall fairy-tale reality. 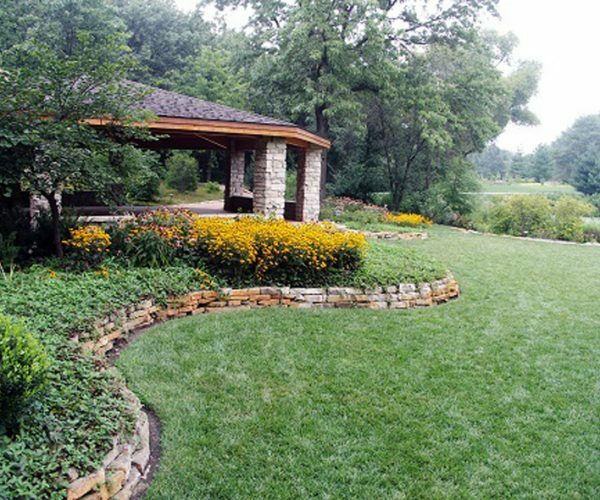 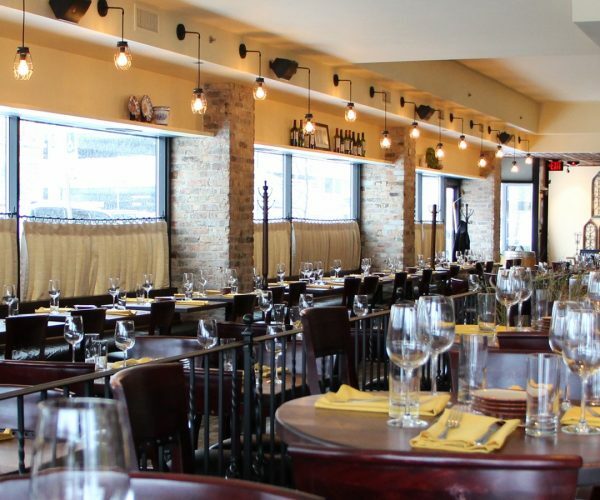 Stonegate Manor is nestled in Southwest Michigan’s beautiful landscape, just minutes from Lake Michigan. 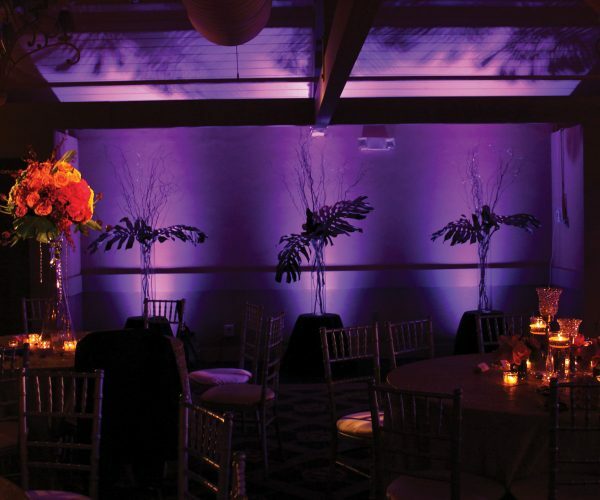 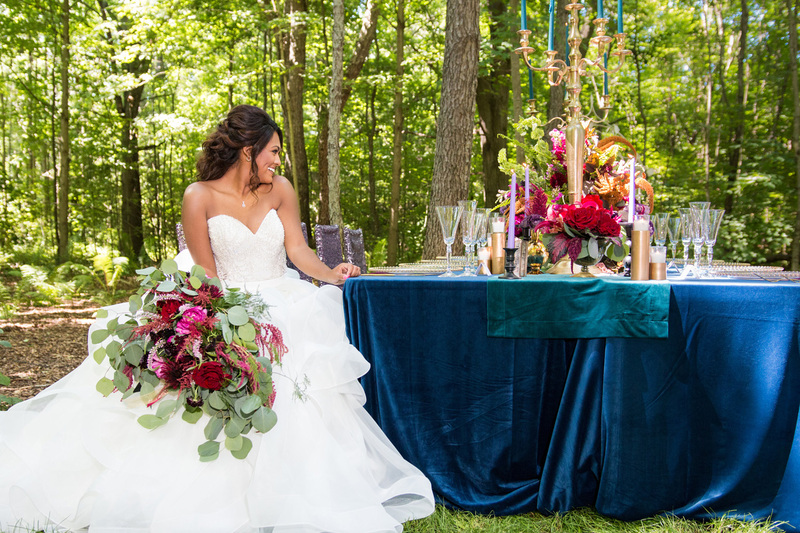 The estate is situated on 27 acres and offers the perfect setting for a fairy tale wedding or event. 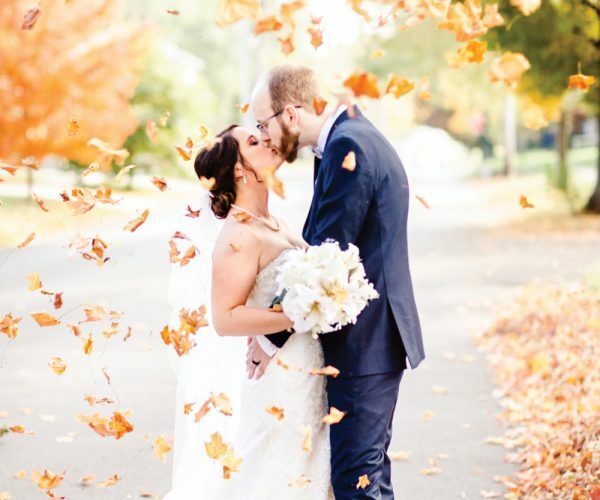 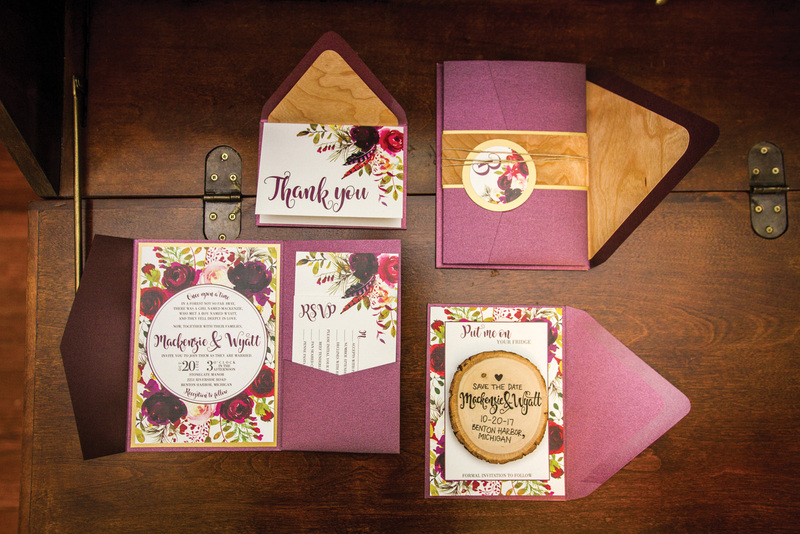 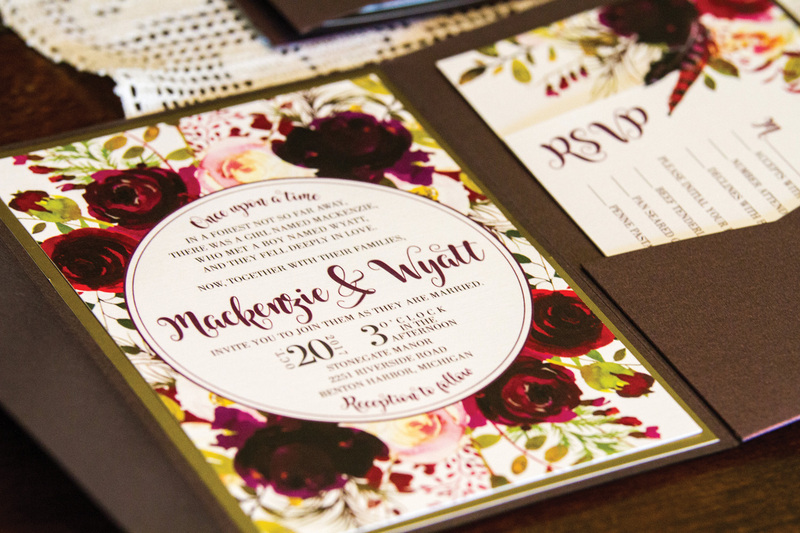 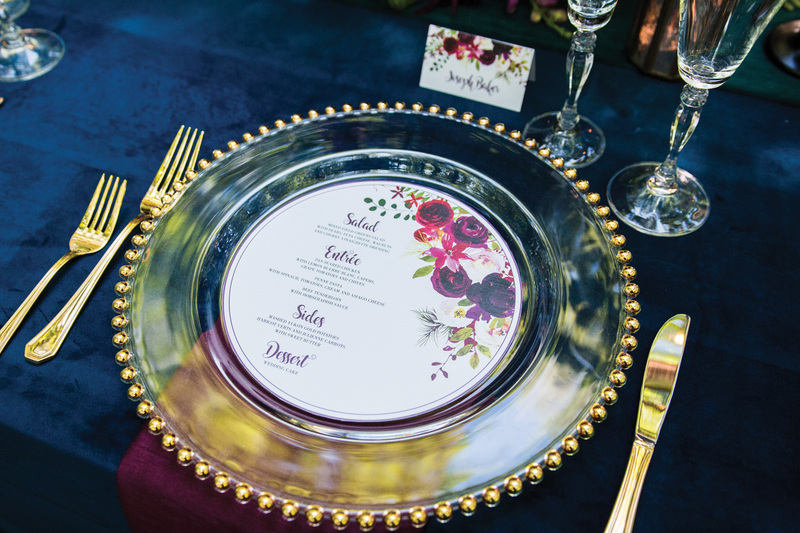 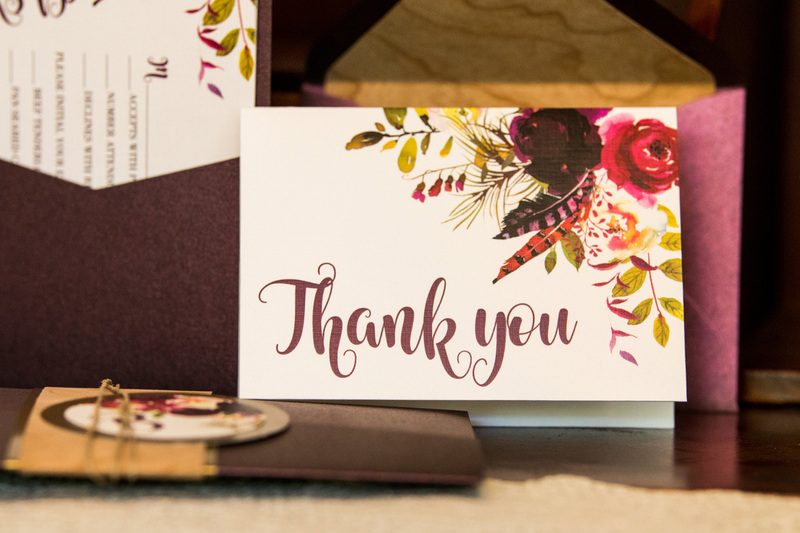 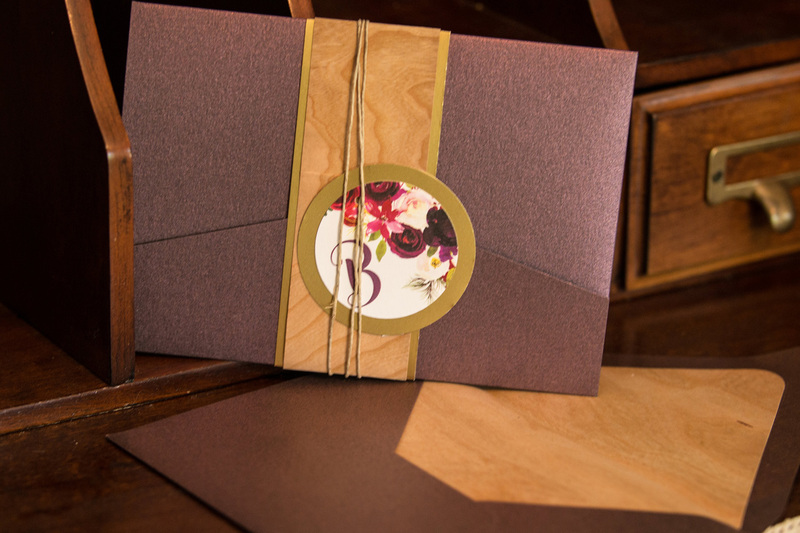 Jamie Lynne Creative designed this floral stationery using rich fall colors with touches of gold to flow perfectly with the vibrant décor of this shoot. 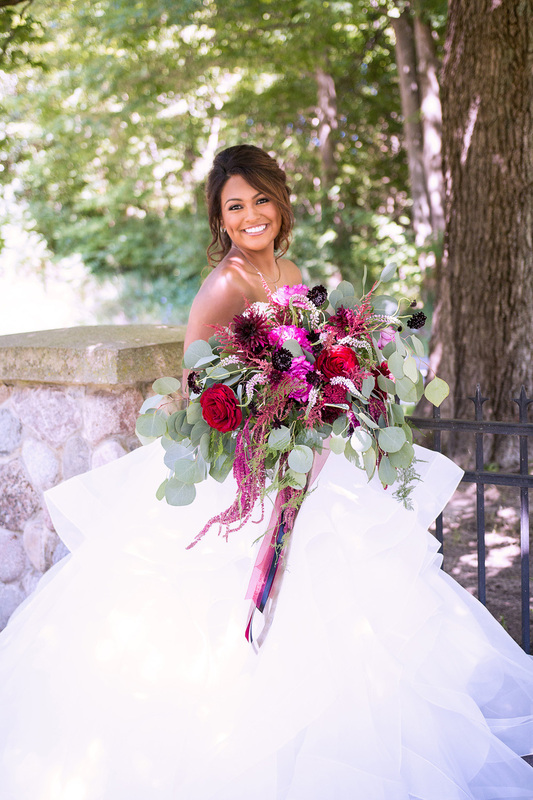 We adored the way Matt & Jaymi Photography worked with our model and the scene set at Stonegate Manor to get such charming photos. 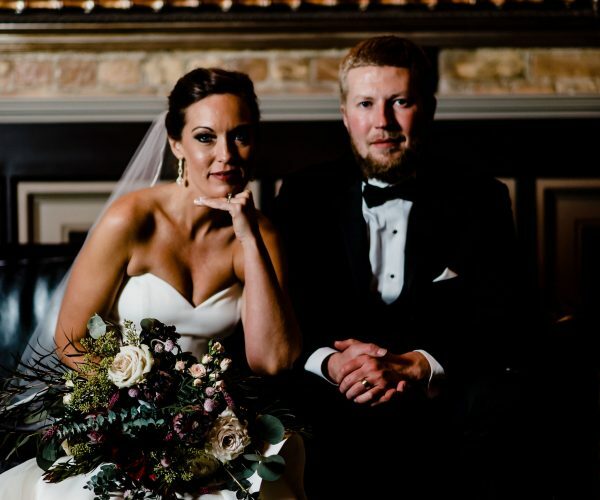 They really captured the essence of the entire day so well. 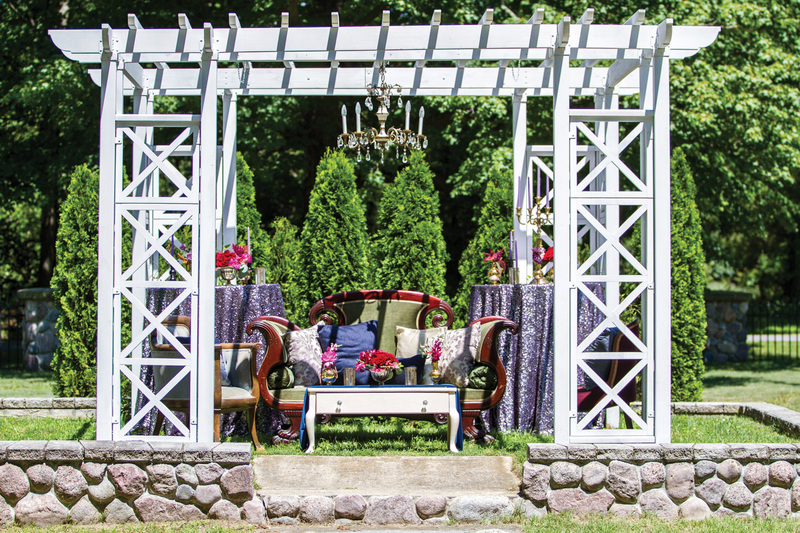 We hope this gorgeous display challenges you to think outside of the box and find wonderful vendors to make your wedding day dreams come true. 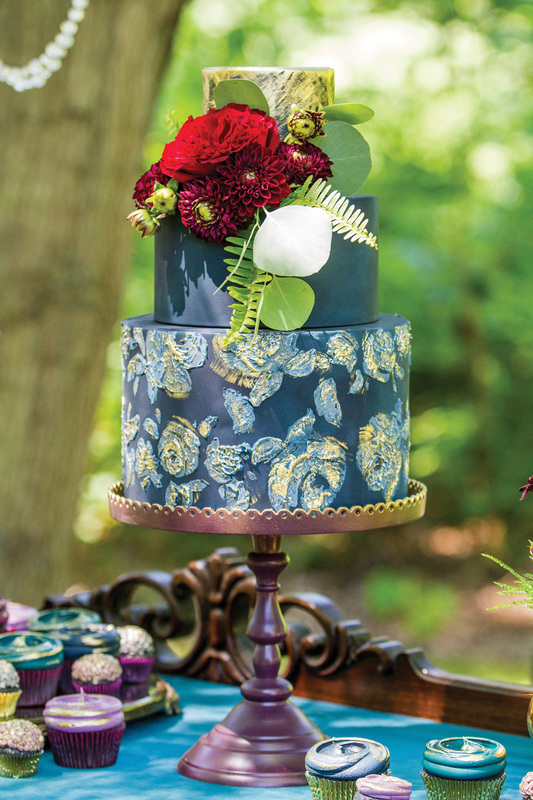 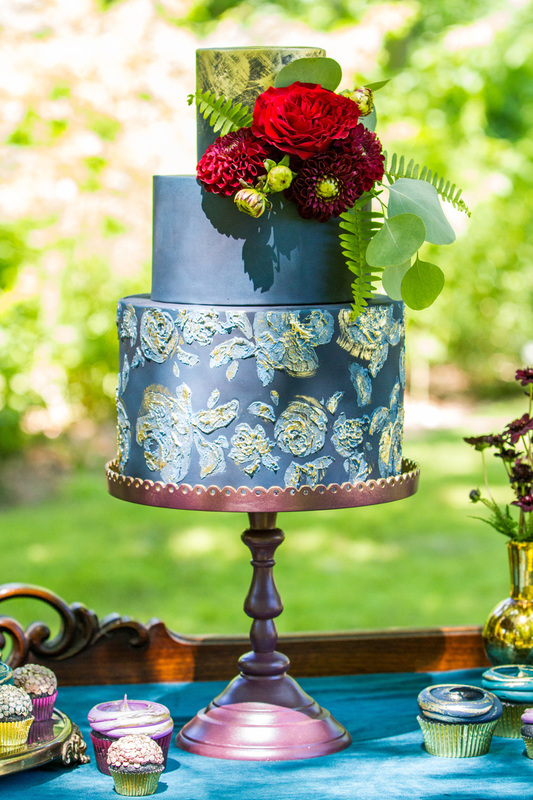 This show stopping navy blue and gold floral accented cake was created by Designer Desserts. 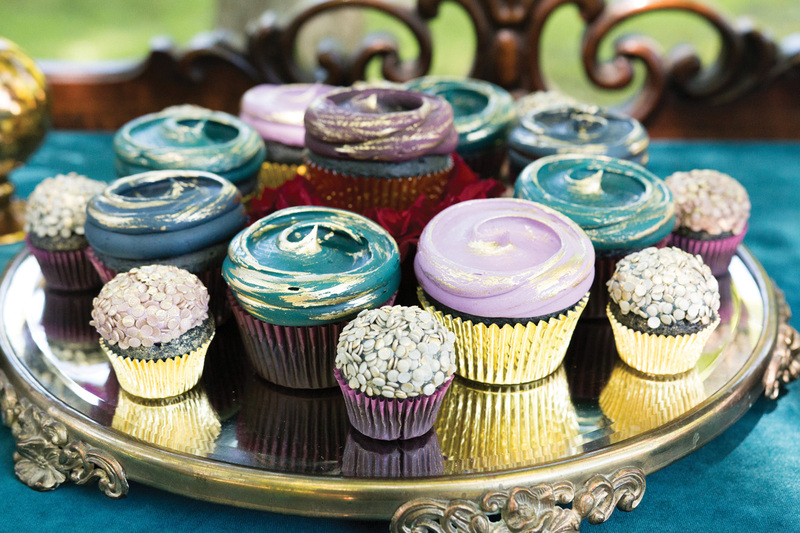 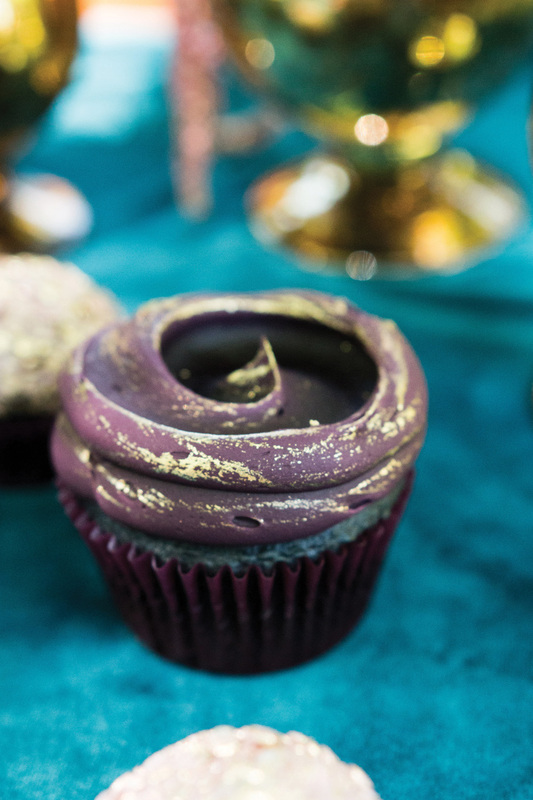 They added a touch of flair with their richly colored cupcakes, keeping a hint of gold throughout. 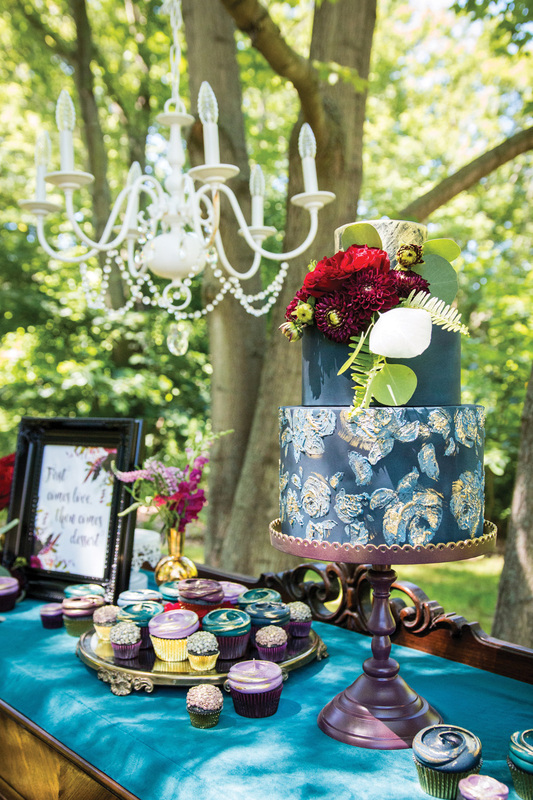 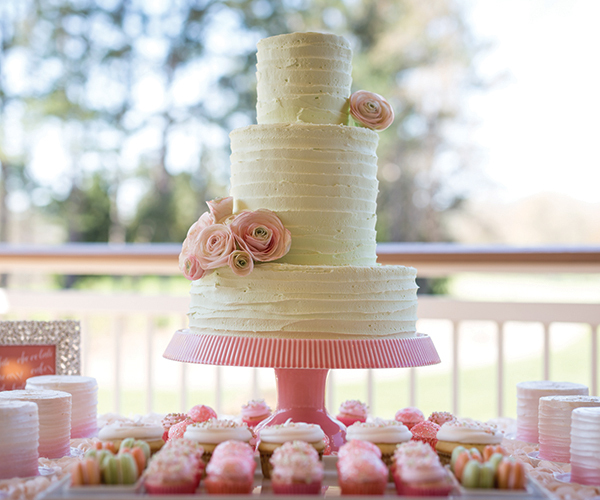 Holden Michael Events created such a beautiful display for this dessert table by using an antique buffet and incorporating a chandelier, which pulled this whole look together swimmingly.